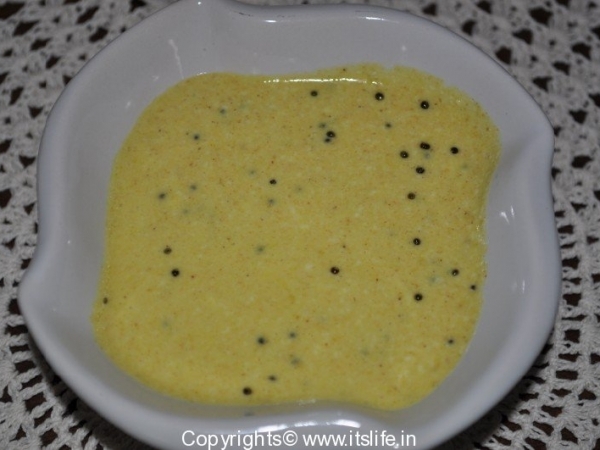 You can prepare this without much hassle if you have Menthedittu ready. Mix Curds and Menthedittu. 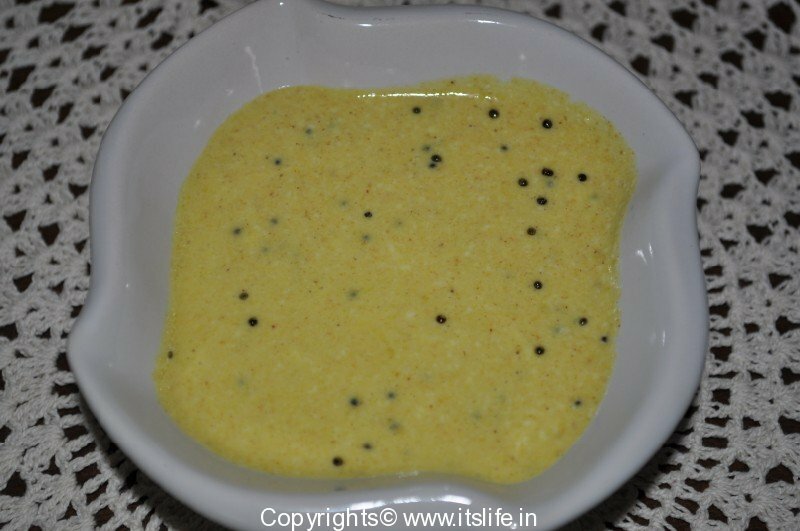 Heat Oil and add Mustard Seeds and when they splutter, add Asafoetida, Turmeric Powder, and Curry leaves. Add this to the Menthdittu mixture and mix well. Add Salt and mix once again. Serve with Indian Bread. Yes Anu it is different and it is so easy to make.